Thousands of people, including representatives of organisations, joined police officials for a solidarity march on Saturday, days after a traffic policeman was mowed down by a motorist in an incident which shocked the country. 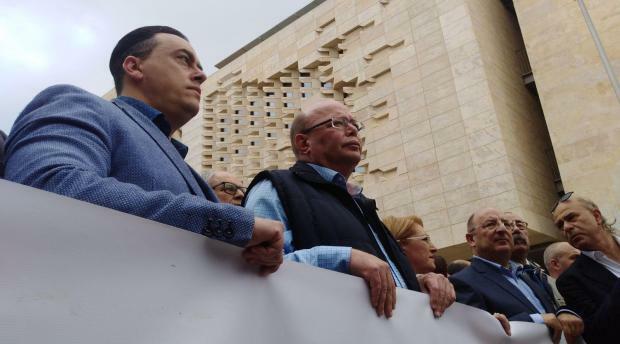 President Marie-Louise Coleiro Preca, Prime Minister Joseph Muscat and Opposition leader Adrian Delia were among those attending the march in Valletta. Simon Schembri was in critical condition after he was run over by a 17-year-old driver, suffering a collapsed lung and fractures to his pelvis and ribs. Mr Schembri’s right arm had to be amputated below the elbow as a result of the injuries sustained. The youth has since been charged with attempted murder. Police union president Sandro Camilleri and Police Commissioner Lawrence Cutajar at the march. 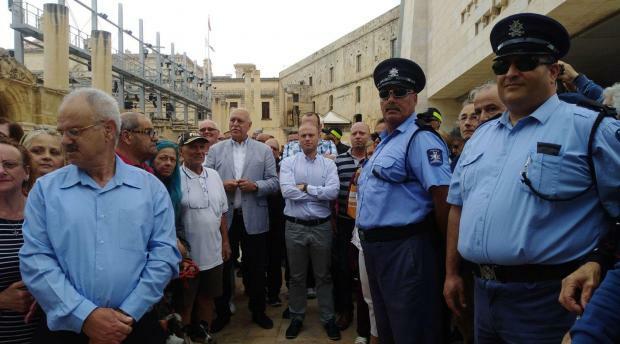 In comments to the press following the march, Police Commissioner Laurence Cutajar said he was moved by the number of people who had turned up to express solidarity with the force. He insisted that the corps' primary concern is the welfare of its officers and their family. Asked whether the force would be considering covering its members with insurance, a call that has long been made and which the Police Association reiterated this week, Mr Cutajar said he agreed with the proposal, adding that talks were underway. The police chief also pointed out, however, that the issue was not a straightforward one. “We cannot do everything all at once, but we're looking into it,” Mr Cutajar told journalists outside parliament, where the march came to an end. Prime Minister Joseph Muscat was among those taking part in the march.